Inside! Winter has arrrived in the Cape bringing squally weather, fierce gusting winds and driving rain storms which track across the expanse of False Bay. This is not as if seems at first glance. Interesting. In England, we have had lots of rain, and yesterday the sun was finally out. Dancing raindrops look beautiful. It’s wonderful when the sun plays on raindrops. Hopefully England’s summer has arrived! Nothing better than a good rain! 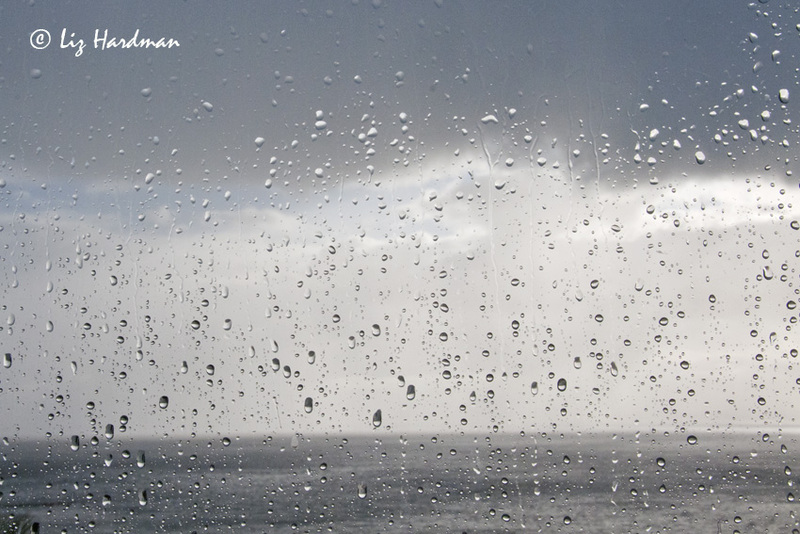 Raindrops on a window is a favorite subject. This made me think how Inside and Outside are totally dependent on each other… Nice. I don’t like being stuck inside. 😦 Beautiful photograph.